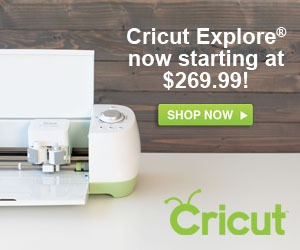 Thank you Minted for sponsoring todays post. As always, all opinions are my own. 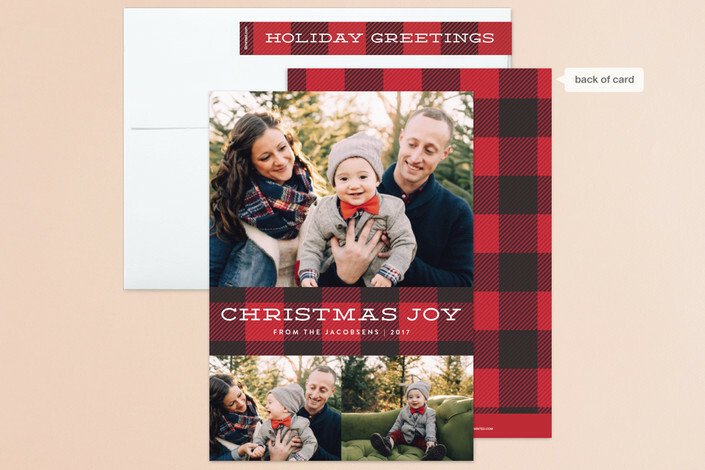 Holy smokes… how is it that it’s time to order holiday cards already? Every year–I tell myself I’m going to order at the beginning of November, and then ever year I’m staying up late and working on my holiday cards a few days before Thanksgiving. It’s past Thanksgiving and I’m still working on my cards–narrowing down which design I’m going to go with. 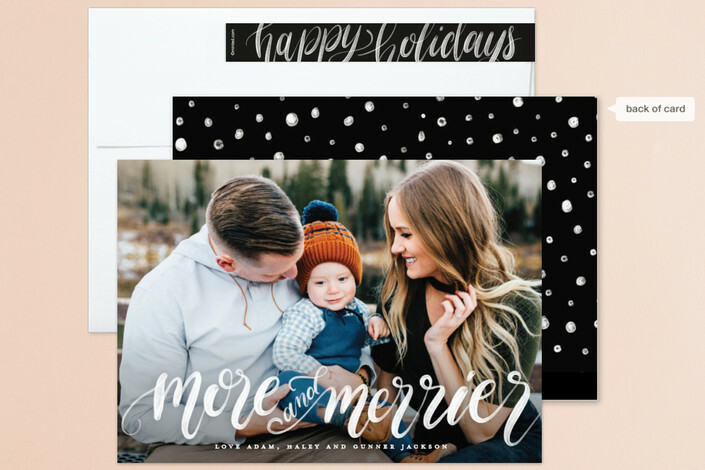 I wanted to share with you all the gorgeous holiday cards you can find at Minted this year. Remember, don’t stress if you can’t make it in time to send a Christmas card. You can always send a Happy New Year card and Minted has a wide variety. I love that most of the cards this year have the option for multiple different holidays/phrases. I.e., Christmas, Religious Christmas, & New Year. 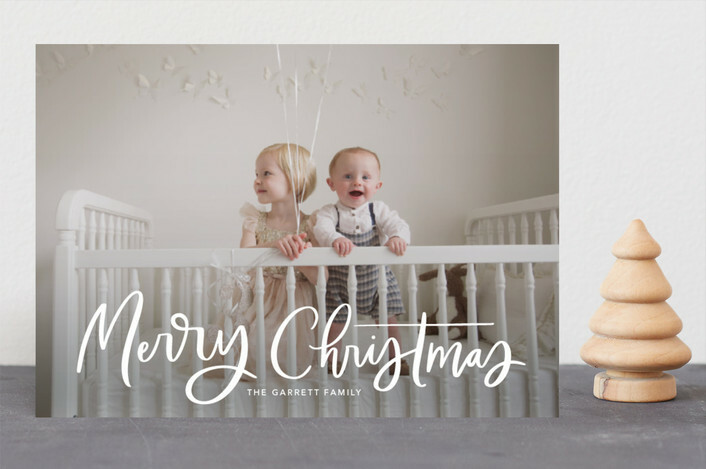 You guys know that Minted is my go-to whenever I send Christmas cards, birth announcements, or even party invites! I can’t say enough good things about the paper quality, the thoughtful design, and all the extra details Minted gives to its customers. Every year I get countless compliments on our Christmas cards. 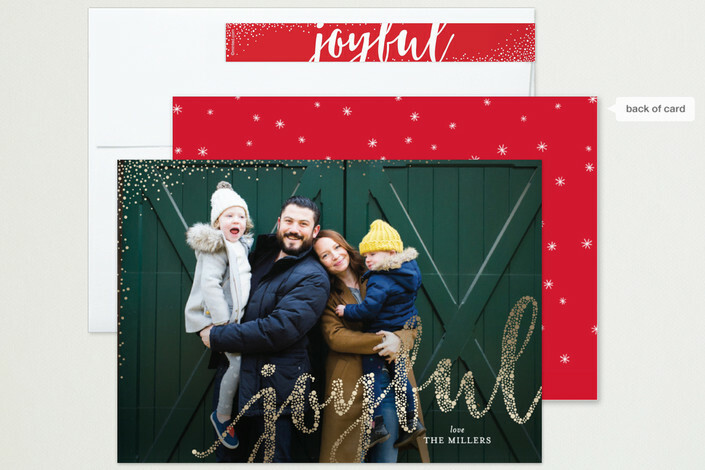 I love that you can go with a simple card or add in all the bells and whistles like Silhouette™ Shape, Skinnywrap™ address labels, slip-in envelope liners and upgraded envelopes to say the least. I also love that I can get a quick visualization of what our card could look like by adding in a photo and turning on the USE FIND IT FAST™ feature! This allows me to quickly visualize what my card would look like all while not having to go into a bunch of design and having to upload and start desigining each and every card. So let me show you a few of my favorites (and runner ups). I plan to reveal our actual Christmas card on Christmas day. I don’t want to spoil the fun for our family and friends who receive our Christmas card. I want to keep it a surprise for them too! 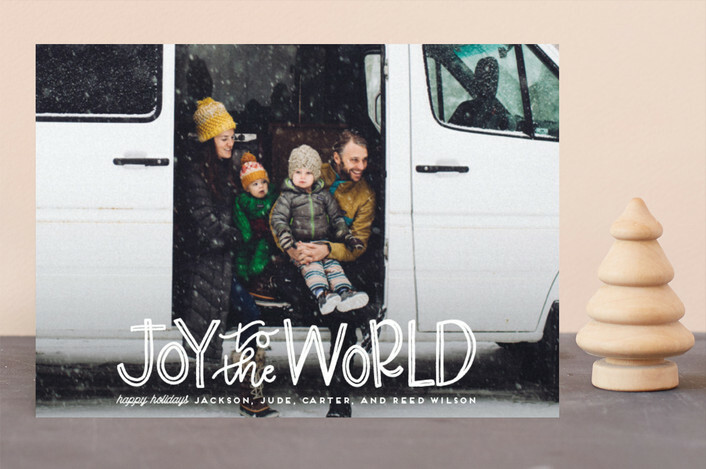 Love this Joy to the World card. I think the font choice is calling my name and compliments our family photo perfectly. I love the Joyful Greeting design. I’ve never went with a foil press and am leaning toward it this year! I’m also loving this Plaid Tidings card. I love the idea of being able to show our family photo plus two individual photos of the kids! I’m having a hard time narrowing down from 244 photos on what few photos to use for our cards. 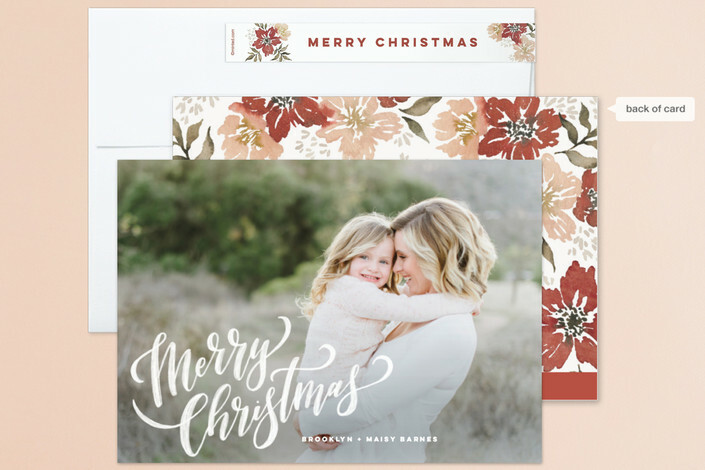 Loving the simplicity of this design and the poinsettias on the back of the Hand-Lettered Merry Christmas Card! This card also comes in 3 other options; Holidays, New Year, or a Religious Christmas. Since this is our first Christmas with Reagan I feel like this More & Merrier design is perfect for this year! Because after all we are much more merrier now that we have a new addition to our family. This card comes in four colors (white, black, mint and berry) and also three different options; Holiday, New Year, and Christmas. It also comes in a foil press! I also love the Modern Merry Greeting design and it works with our photo that I’m planning to use! 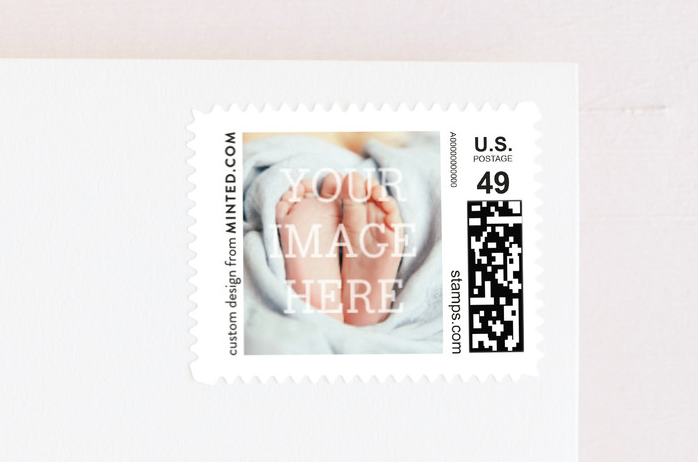 Let’s talk about my FAVORITE perk of printing with Minted. The Minted Envelope! 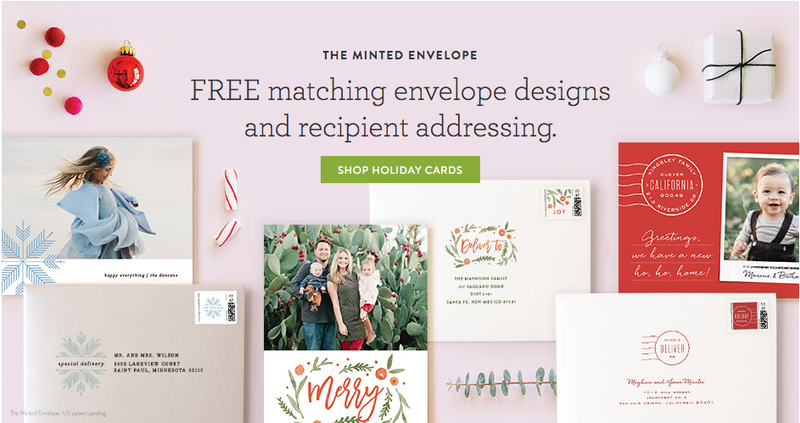 Every time I go to print I do a quick scan of my digital address book stores inside Minted via an excel spreadsheet you upload to the website and then ALL of your addresses (that you select) are printed right on the envelope. And super cute designs that compliment your card. 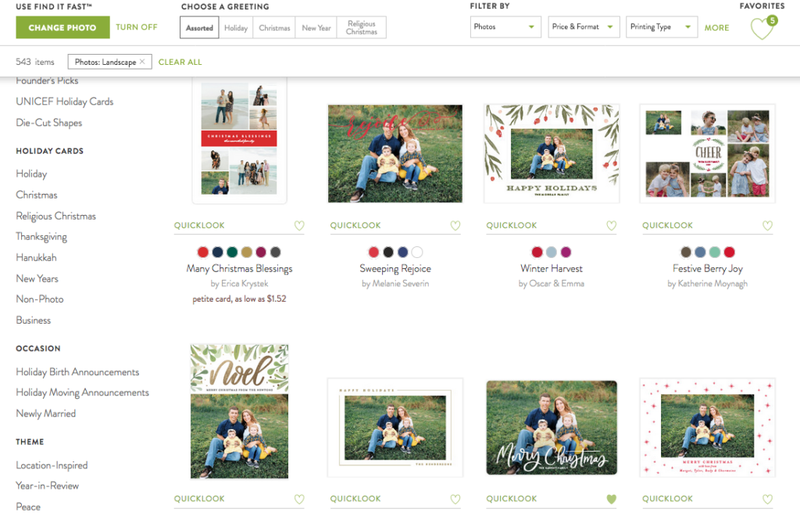 Minted has truly become a one-stop shop partnering with Stamps.com so that you can design a stamp that compliments your card. Even better–everything is delivered to your home in one box. So grab a glass of wine, get stuffing, sticking, and stamping and bam. Christmas cards are done and in the mailbox the next day. At least thats how I tackle them. So many great designs and always so so difficult for me to narrow down which card to go with. Every year though I love switching it up just a little. Last year, I added slip-in envelope liners and the custom design stamp! Help me pick–which design do you like?